IMPORTANT! HEADER BELOW THIS SECTION IS DESIGNED FOR MOBILE DEVICES ONLY, IT'S NOT VISIBLE ON LIVE PREVIEW WITH DESKTOPS AND TABLETS. 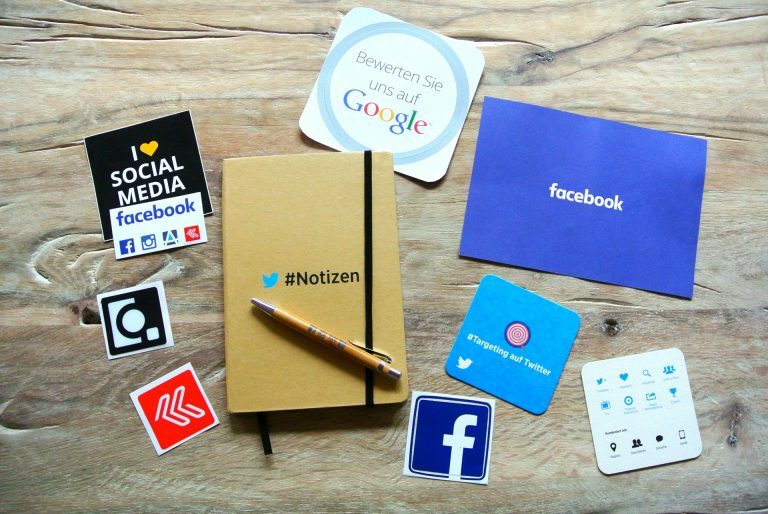 If you run a business, chances are you've created social media profiles for it. If you haven't, there's a chance you're living under a rock. Now, I'm not saying that it is absolutely compulsory to have and run social media accounts for your business, but it certainly doesn't hurt. I spoke to a local business about social media management and they were surprisingly against having social media for their business in case something ever went wrong. A bad review here and there and all Hell breaks loose, right? This is where your social media marketing and your marketing plan come into play. Sure, issues can arise from a disgruntled (ex-)customer, but with the right approach, you can use social media for good, not evil! One of the biggest reasons to create social media accounts for your brand is to connect with your customers on a personal level. Depending on your business and how you wish to portray your business, you may have a casual approach to your Tweets. Or, if you are a bit more serious, your Facebook posts will reflect that. Either way, you can get to know your clients and interact with them personally. Whether you're looking for ways to engage your current customers or you want to expand and find new ones, a video is a great way to do so. Facebook has a number of video features such as pre-recorded video uploading or live streaming video. Other social media platforms can also include videos such as Twitter, Instagram and Snapchat. When you have on average just 2 or 3 seconds to engage someone, video can help in ways that text can't. Another great thing I like about social media accounts for business is utilising social media exclusive deals and offers. Depending on your business, you may offer certain discounts or offers for those who mention or buy via a social media account as opposed to visiting your store or contacting you directly. An interesting part of this exercise is being able to see the fruits of your efforts on social media. Do you notice a lot more people calling you and mentioning your Facebook page? Do you have extra people following you on Twitter and re-tweeting your offer? You can get great insights on how this directly affects contacts and sales and there's an extra opportunity to boost these posts with selected advertisement methods. Featured posts and paid ads on social media can help increase the number of people who see your post and click through to your website or give you a call. As mentioned previously, there are times where businesses can get a bad rap online from a couple of unhappy customers. if a customer isn't happy and proceeds to rant on your Facebook page with a million thumbs down, this isn't the end of the world. This could, in fact, be a great opportunity to see where your business can improve and also show to other people reading your reviews that you want to make your customers happy. Start by answering your customers' concerns and acknowledging any wrong-doing. Offering to provide a solution can go a long way, especially when many people don't expect much will happen from a complaint. By taking ownership of the issue, addressing it and looking for ways to deal with the problem, your online complaint can turn into a way to show off your excellent customer service skills. Remember, social media management and marketing doesn't have to be hard. People love to get to know their favourite businesses and brands and more often than not, are happy to share social media profiles with friends and family. It can be as easy as starting a Facebook profile for your business and asking friends to hit that "like" button. From there, getting social with your business will provide you with many benefits. If you're not sure how to run your social media or simply don't have the time, give us a call today. We can chat about what your business goals are and how you hope to achieve those goals with social media marketing. Call Ink Marketing on 0427 388 696 or check our services page for more information.